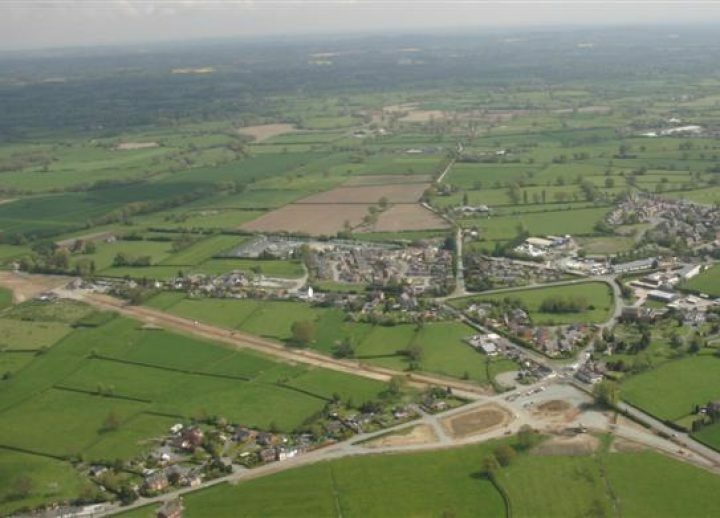 The A483 Four Crosses Improvement involved the construction of a new section of single-lane highway approximately 1.4km in length situated to the west of the village of Four Crosses and included a four arm roundabout connecting the A483 with the B4393. 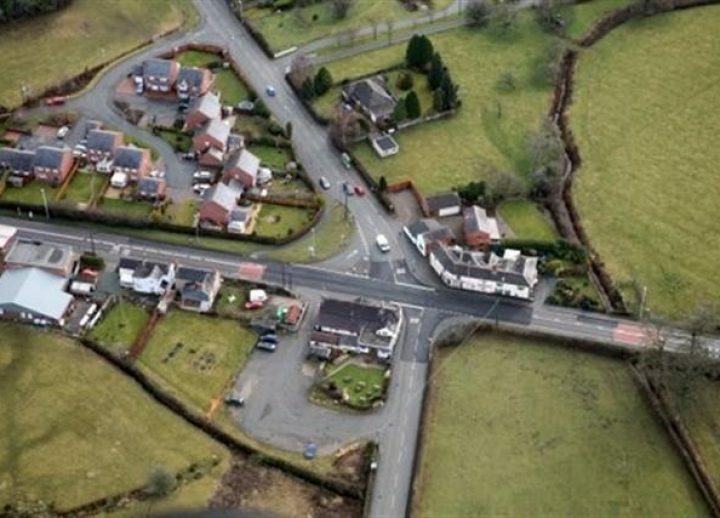 A new roundabout was constructed offline with the B4393 principal road realigned and connected into the new roundabout. Works also included the provision of an underpass to provide safer access to St Tysilio’s Church and Offa’s Dyke pathway. The underpass and associated retaining walls also incorporate artwork designed by a local artist and was installed by pupils from the local primary school. Both the subway and artwork are illuminated by LED lighting. Extensive surface water attenuation ponds have been constructed at both ends of the scheme and are sympathetic to the surrounding landscape. Cycle routes were upgraded throughout the village and improvements to parking at St Tysilio’s Church. 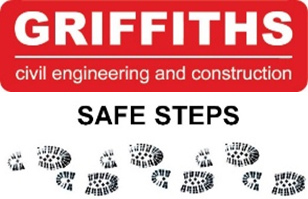 Existing soft landscape areas have been maintained as far as reasonably practicable with all site won material being utilised onsite in line with the Site Waste Management Plan. A landscape false cutting was incorporated into the scheme in order to shield nearby residents from the view as well as acting as a noise reduction measure. Flood compensation areas have been incorporated into the scheme with badger/otter tunnels and amphibian friendly kerbs and gullies incorporated into the works. 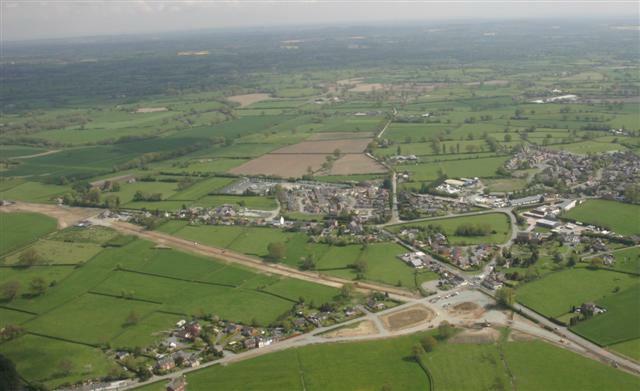 The project also required extensive liaison with the Clwyd-Powys Archaeological Trust regarding a Bronze Age burial monument, prehistoric field system and a number of 18th Century brick kilns which were unearthed during the early stages of the project. These brick kilns were part of the construction process for the nearby Montgomery Canal. 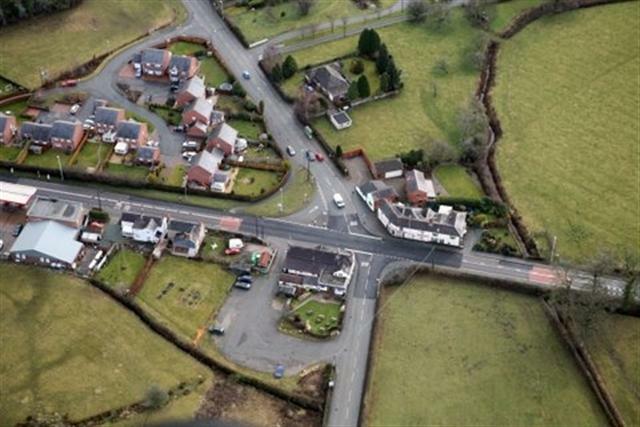 The Four Crosses Improvement Works has dramatically improved the safety and amenity of the Four Crosses community providing safer links between Mid Wales and the English trunk road network with more reliable journey times.